Denmark, which, like other Scandinavian countries, used to support the Polisario’s cause on humanitarian grounds, eventually discovered the deception of the Sahrawi separatists and their Algerian mentors, and, for some time now, have completely changed their opinion on the Western Sahara issue. 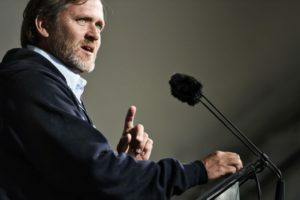 Just last week, Danish Foreign Minister Anders Samuelsen was quoted in a statement released by his department as stressing that “the importation of products from the Sahara is legal and does not call into question international legality, as the populations of the Sahara benefit directly from the resources of their region”. The head of Danish diplomacy has thus reacted to the arguments of certain pro-Polisario parliamentary groups claiming a so-called “exploitation of natural resources of Western Sahara” by Morocco. Samuelsen’s clarification was made before the European Parliament and at a working session of the Danish Parliament on Monday, July 17, said the statement. The clarification came as negotiations between the European Commission and Morocco have been ongoing, since the European Court of Justice pronounced, on December 21, 2016, a ruling on the Morocco-EU farm agreement, the statement added. The Danish Foreign Minister also stated that “according to the European Commission, the ECJ’s verdict of December 21, 2016 on the EU-Morocco agreement does not imply a ban on imports of products originating in Western Sahara” but simply that “products cannot be imported under the same tariff preferences as before”. Similarly, Anders Samuelsen emphasized, “Denmark supports the negotiations between the European Commission and Morocco” to “ensure that products from Western Sahara benefit from previous tariff preferences in favor of the local population”. In March 2014, the Danish Parliament had rejected by a large majority a draft bill demanding recognition by Denmark of the pseudo- Sahrawi republic “SADR”. The vote had dealt a serious blow to the Polisario and to Algerian diplomacy.